Inslee picked Szambelan, 51, over a number of candidates, including attorneys Dennis Cronin, Jennifer Fassbender, public defender Kyle Zeller and Superior Court Commissioners Michelle Ressa and Rachelle Anderson. “Shelley is smart, compassionate and committed to justice. She has earned the respect of the community through her work and her long history of legal and community service in the Spokane area,” Inslee said in a news release. Szambelan, who was appointed as one of the original municipal court judges for Spokane in December 2008, said she learned she had been chosen this past weekend but she was asked to give Inslee time to tell the other candidates about his decision. Superior Court Administrator Ashley Callan said Tompkins’ last day on the bench is March 12 and she had hoped that Szambelan could start on March 13, but Callan said she had not yet been able to speak with the new appointee. Szambelan said she’s not sure when she will start her new post. 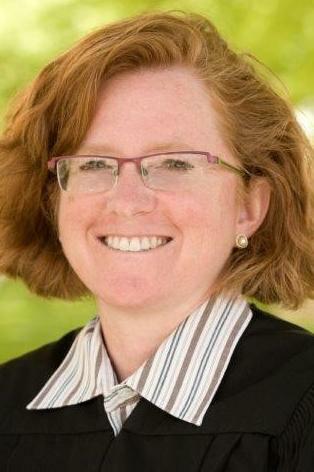 Prior to her appointment the bench in December 2008, Szambelan earned her political science bachelor’s and law degrees from Gonzaga University. Prior to her appointment to the bench by former Mayor Mary Verner, Szambelan worked as an associate attorney for Phillabaum, Ledlin, Matthews & Gaffney-Brown in Spokane, where she gained civil trial experience. She also served as a District Court judge pro tem for about three years and also worked for the Spokane city prosecutor’s office for nine years. Szambelan, who is married to attorney Tim Szambelan and is the mother of three children, served as dean of Washington State Judicial College. She is also a member of the Washington State Ethics Advisory Committee and volunteers for the Washington State Minority and Justice Commission’s Youth & Justice Forum. Her community involvement also includes service on the board of directors for Gonzaga Preparatory School and work with Habitat for Humanity-Spokane. She thanked the longtime serivce of Tompkins, who was elected in 2016 but chose to retire. Tompkins’ term was not set to expire until 2020. Because she’s an appointee, Szambelan could face a contested election if someone chooses to run against her by May, Callan said. If no candidates file against her, Szambelan would serve out Tompkins’ term and face election in 2020. Published: Feb. 20, 2018, 10:29 a.m. Updated: Feb. 20, 2018, 11:16 a.m.